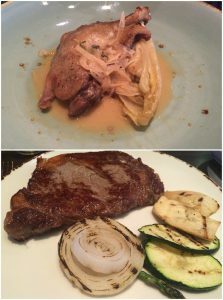 I wanted to save this post for my food blog, but I decided to give you all the first look and review of my first NYC restaurant week experience at Brasserie Seoul. I was born and raised in New York City and as a foodie in my family. However, I never took advantage nor experienced NYC Restaurant Week. This summer I decided with my boyfriend to take advantage of it. The restaurant I initially chose was Delmonico’s, but later changed my mind to Brasserie Seoul which is a new, hip, and trendy restaurant with Korean and French flavors and techniques. The restaurant is tucked away inside the new Holiday Inn in Downtown Brooklyn. I visited the hotel and restaurant twice during my summer classes. My class and I met the General Manager who said next time we return we would receive 10% off our bill as we are City Tech students. I chose August 12th which was a Friday and also a celebration of completing my Bachelor’s degree. My boyfriend and I were seated in the center of the restaurant and had a good view of the kitchen. The servers seemed a little bit nervous and slightly inattentive. We asked for a sparkling water, but unfortunately the rim around my glass cup had a fuzz around it. The General Manager was behind me and asked if everything was okay, but I showed him my glass and he apologized and replaced it with a new and clean glass. My boyfriend ordered the Crispy Salmon (salmon sashimi , crispy sushi rice, and chipotle aioli). This was definitely a unique and interesting take on a sashimi, but with a crispy sushi rice instead. It had a little kick of spice to it, but it was tolerable. 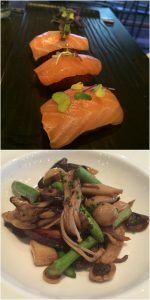 I ordered the Wild Mushroom & Asparagus (wild mushrooms, asparagus, truffle soy sauce). I really liked this appetizer because I am naturally a mushroom fan. Although the dish was plated beautifully, I felt the plate was too large for the small portion that was given. For entrees, my boyfriend had the Duck Confit (endive, shallot, thyme orange sauce) which was recommended by a friend of ours. The duck tasted delicious and cooked just perfectly where the meat was soft, smooth, and moist. I got the Waygu Rib Eye Steak ( waygu rib eye with grilled vegetables) *$5.00* additional for my order and I also asked for medium rare, but not too rare. While eating my steak, I noticed parts of it was rare., but I didn’t say anything. The steak also tasted very bland. I wished they provided a sauce or rub on it. The vegetables were grilled to perfection, but again slightly bland. I must admit that the best part of the experience was the desserts. My boyfriend ordered the Strawberry Pie (puff pastry, gelato, and housemade strawberry jam). The strawberry pie was puff pastry and strawberry heaven! It was crispy, flaky, and buttery. So good and so cute! I ordered the Banana Split (devil’s food cake, caramelized banana, vanilla ice cream) as I saw a lot of photos on Yelp and kept dreaming about it. When it arrived to our table, the general manager kindly explained the different elements that made up this gorgeous dessert. 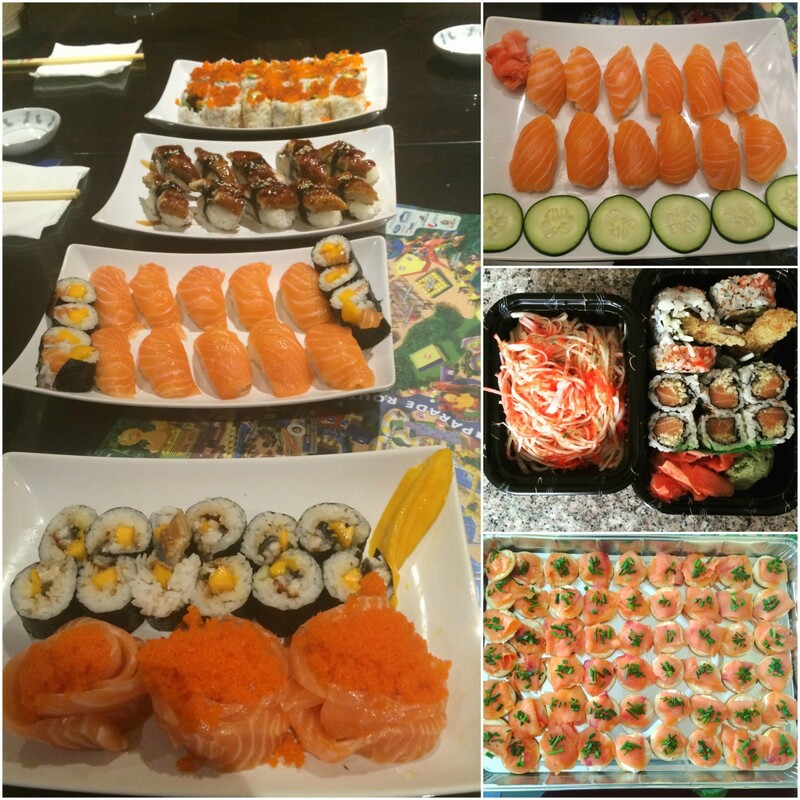 Everything and all of the flavors really came together and tasted amazing! The devil’s food cake was absolutely to die for. Our dinner cost less than I thought as the general manager gave us a City Tech discount. That was very kind of him and the hostess at Brasserie Seoul is so kind and friendly. Our experience could have been slightly better if maybe our entrees had a little extra flavor and juices to it. This isn’t your typical Korean restaurant, but this is definitely a gem and great addition to Downtown Brooklyn. I am looking forward to our next NYC Restaurant Week experience. Have you ever been to NYC Restaurant Week? As you may know I started blogging at the age of fourteen, but at fourteen I didn’t know the word blogging even thought it was what I was doing. I used to blog with Xanga.com until my second year at City Tech and than I took a very long break which I shouldn’t have. Between 2008 – 2010, I was in love for the very first time with someone I truly cared about and meant everything to me, granted I was only 19 and he was 20 when we met, but it was the kind of love that I felt could have never been replaced. Unfortunately, it didn’t end well in July 2009 and it really had an effect on me and it was a time like that in my life that I forgot all about blogging, about writing my heart out, about sharing my pain, and etc. I wished I had continued to blog during the period of mending a broken heart, but I forgot and I was a mess. In 2010, I decided to get back into blogging after watching “Julie & Julia” because that movie really paved the way for me to start blogging again even though I may not always get comments, feedback, or noticed either way what I write is there and it’s real. It wasn’t just blogging I started in Mid-2010, but I created a Yelp account where I decided to start reviewing restaurants and places I’ve eaten at without expecting any results or following. 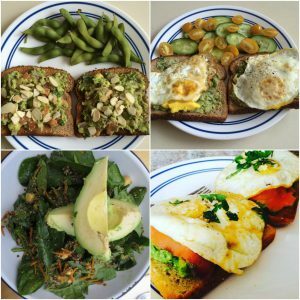 I also started blogging again about life, food, cooking, and much more. Between 2011 and 2012, I was still a little rusty with blogging. However, after discovering I have a great passion for food and eating I decided to start food blogging and writing about the dishes I’ve eaten and the places I’ve been to. When I look at my Yelp reviews and blog posts, it’s quite amazing how many places I’ve eaten, tried, and seen. I still blog because I love it and I love writing and I love sharing my experiences with someone on the other side of the computer that may find my words inspiring. I realized that one reason why I never wrote about how I felt and the pain I accumulated in 2009 – 2010 was because I didn’t want myself to go back and read about it because it would just make me cry and the pain I felt is something I never want anyone else to feel or experience. I also realized that during a dark time in your life, you need to find what it is that you love to do that makes you happy because that could be the solution to mending a broken heart. “Julie & Julia” and a few individuals made me realize how important blogging is because for someone like me, I like to write, but on a blank white screen like I am right now. The influences and followers in my life made me realize that I do offer relevant information, that someone does care, that what I write matters. You should NEVER forget what it is that you love to do. I’m not an individual that expects comments, feedback, money, an arm or leg to read my blog. I just simply like to write my experiences and share it and if someone reads it, that’s great. Blogging has made me a stronger person, a better writer, a better blogger, and a better person online and offline. 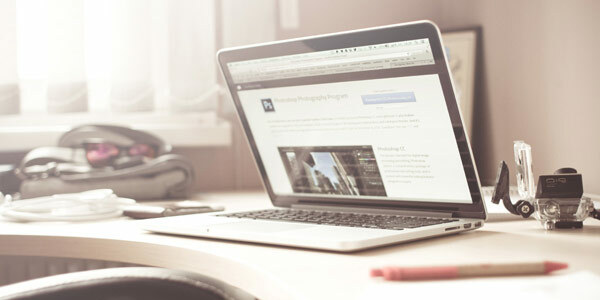 Do you blog and how has it change your life? It was about five years ago when I was blogging for a food blogging community known as IReallyLikeFood (currently non existent) where I was on a team with bloggers like The Buzz, but I was specifically on a team of food bloggers and every blogger had their own original and authentic voice, background, and style. At the start of my internship, I was going through a rough time in my life because my grandpa became ill and passed away two weeks after I started at this internship. I started out as an editorial intern where I was given a project for 2-3 months and I had to write 8 blog posts per week when there’s only seven days a week, but I did it. We also had an internal weekly calendar where each blogger had their own excel sheet and where they can copy + paste the links/topics for each post. Week after week, my stats and views were skyrocketing high to the point where I made the Top Contributor list on numerous occasions. After I completed 2-3 months of my internship, I met with my manager over coffee where we discussed my evaluation and the progress of my blog posts. She had a couple of questions about my topics/ideas because it seemed like I was a machine of endless, fun, trendy, and cultural blog posts. I blogged about anything from a restaurant experience, Starbucks vs. Dunkin Donuts, my infatuation with Thai food, food photography, my obsession with clams, Chinese food and etc. My manager was very impressed with how versatile I was and etc. The best blogging tip/words of wisdom I learned from her was that she told me to ALWAYS remember that I have an endless inspiring figures and inspiration where I can easily be inspired to create a blog post. She said it truly shared in my blog posts because I do share a lot of the dishes that my mom makes and there are instances where I always drive my blog post back to my Chinese and family roots. If you’re a blogger and your reading this, I want you to ALWAYS remember that the next blog post is at arms length or at your finger tips. You may not realize it now, but you will. Sometimes the simplest person, event, or things in your life can be the trigger to you creating the next blog post. DON’T be afraid of who or what is in your life and just be inspired by what you have in your life or what has happened in your life. NEVER forget your biggest supporters, readers, and events in your life and always surround yourself with ideas, inspiration, and keep yourself abreast of what’s going on in your passion. I think you already know by now that I always look forward to the summer because it’s the time of the year where I have more flexibility, have more time to go out and enjoy food with my family, boyfriend, and friends, and an opportunity to try restaurants and places on my list. This Lobster Bisque from Island Creek Oyster Bar in Boston, MA is lobster heaven! 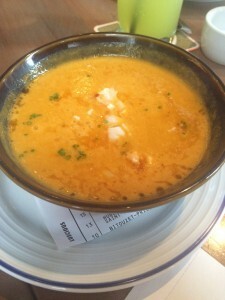 It’s by far the BEST lobster bisque I have had! It’s bright, warm, and inviting and has rich lobster flavors and juices. During my Memorial Day weekend trip to Boston, I also visited Quincy Market and this one spot called Boston Chowda Co. 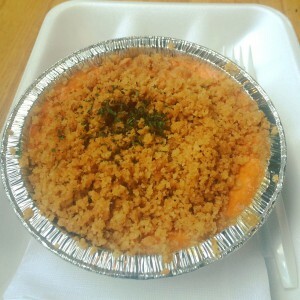 I saw that they had Maine Lobster Pie which was filled with their Rockport lobster bisque and topped with their seasoned Ritz Cracker crumbs. The pie was absolutely wonderful and delicious! It was extremely creamy and the lobster meat was full of flavor! Who would have thought a savory pie could taste so amazing? I am a sangria lover! Last month, my boyfriend and I went to our friend’s birthday dinner which was at a Portuguese restaurant and they had White Sangria, so of course I had to have it. 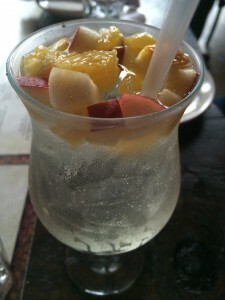 It was actually very light and refreshing, but didn’t have strong aromas like a red sangria does. Since my internship is close to 42nd street in the city, I’ve been making a lot of visits to Jamba Juice for their freshly made smoothies. 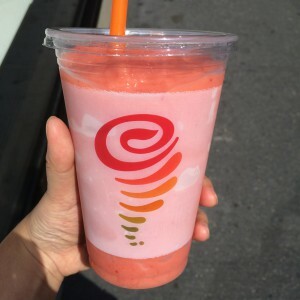 My favorite one so far is the Gotta Guava smoothie which contains guava juice blend, frozen peaches and strawberries, and sherbet with pineapple ice. 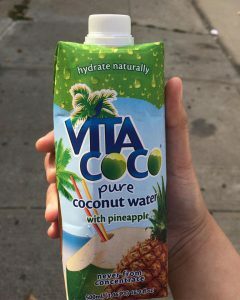 It is super refreshing especially on a hot day and full of tropical goodness! I came to Piccoli Trattoria with my boyfriend and friends for a double date dinner and an item we ordered that I found absolutely divine was the Proscuitto E Peccorino which is fig jam, Proscuitto de Parma, and Gorgonzola cheese on a toasted rustic bread. 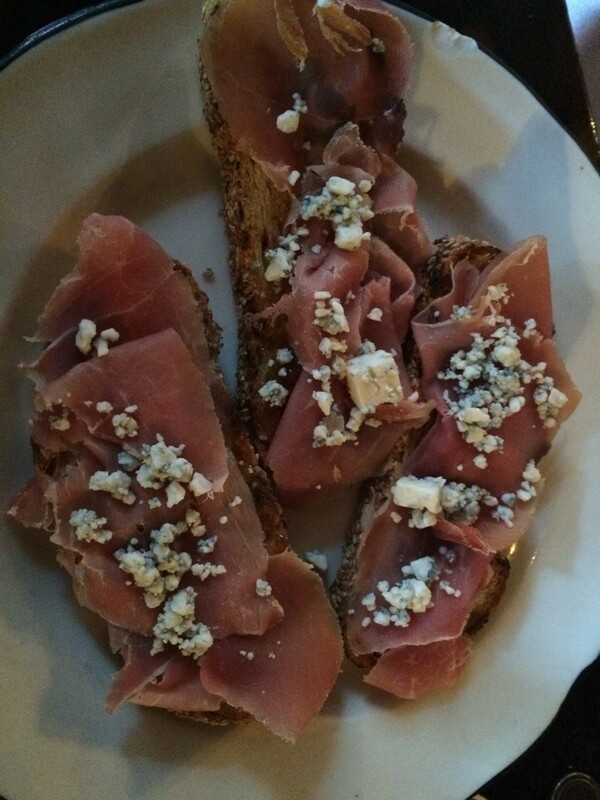 It’s super tasty with a mix of salt and sweetness from the fig jam and Proscuitto. I really enjoyed this appetizer and it’s possibly one of the best ones I’ve had so far. 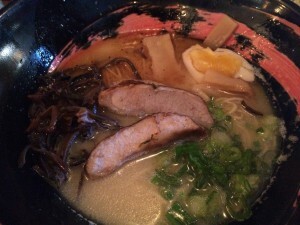 I’ve also visited a new ramen spot in Brooklyn Heights with my boyfriend and two other friends as well. I’ve tried Tonkotsu Ramen in a lot of ramen restaurants, but so far my favorite one is from the new ramen restaurant: Kogane Ramen. I really enjoyed this particular bowl of ramen because it had the right amount of fattiness and pork bone based broth. The noodles were straight and cooked al dente. I took my time eating this ramen so I was able to enjoy and savor every taste and texture in this bowl. My boyfriend and I celebrated our 5.5 year anniversary at one of my favorite restaurants, one that I’ve spoken previously about on The Buzz: Mussels & More. One dish that we tried was the Lobster Ravioli which I absolutely enjoyed! They were quite big and they were truly delicious and the sauce went extremely well with the toasted bread that they gave us on the side. I guess it’s pretty apparent that so far this summer, most of my favorite dishes are seafood and lobster related. I enjoy seafood very much except for oysters and scallop (for personal reasons). I’m excited for the food places I am planning to visit for the rest of this summer and to see what they offer. What are some dishes or drinks you’ve enjoyed or tried this summer? My boyfriend once said to me, “When it’s our turn to get marry, I’ll make sure to tell everyone that I’ve never been to so many diners until I’ve met you.” Honestly. 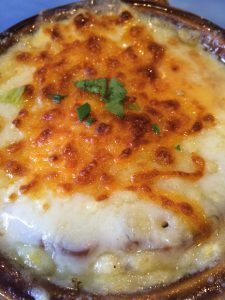 I don’t know when my affinity for diners began, but I’ve been going to diners for the last six years and I have no complaints except for when the food and the service lacks good quality. 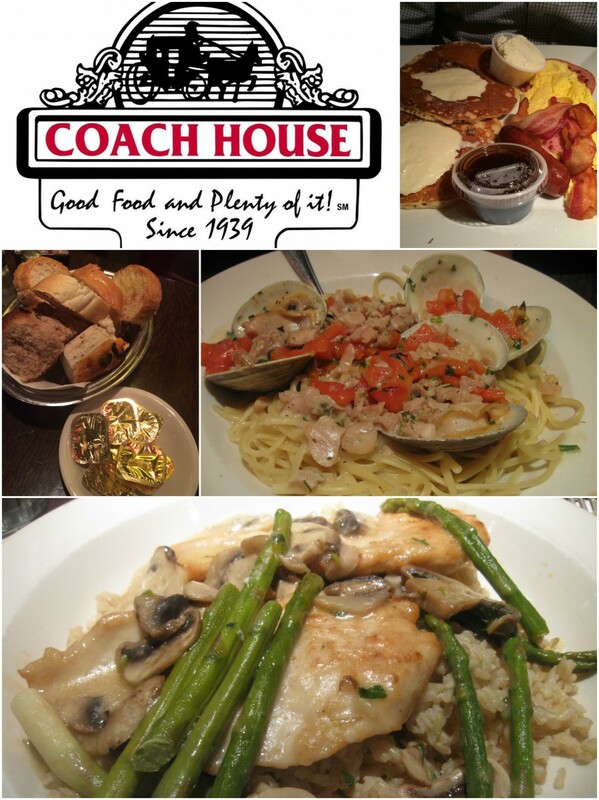 My boyfriend and I frequent Coach House Diner when we’re in New Jersey and want to go to a restaurant/diner that is affordable and delicious. I like this diner a lot because it feels like a diner, but than it doesn’t. They do have booths, counter tops, diner-like food and beverages, and they are opened 24/7. However, they also have a restaurant vibe to it because they have an exclusive section that’s a bar, it’s fairly spacious and comfortable, and they have daily specials for dinner and special soups that you wouldn’t find at other diners. 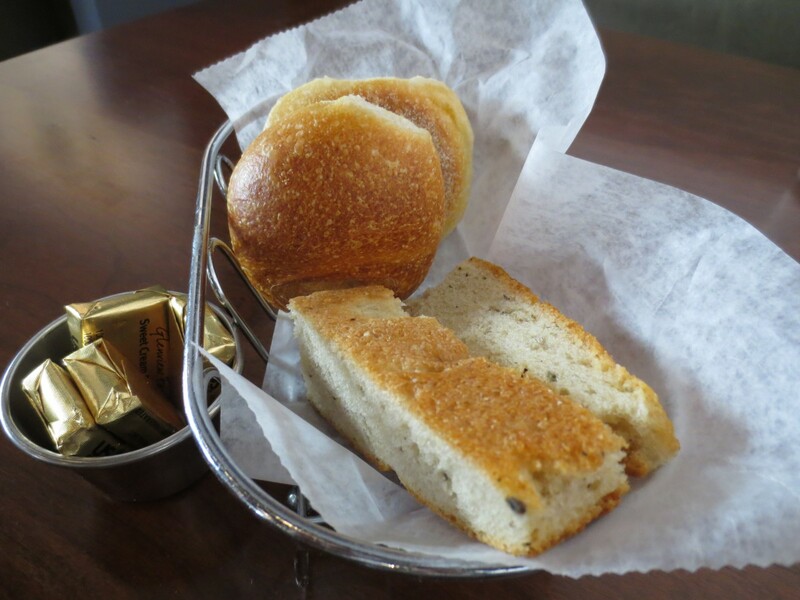 They also have a salad bar for you to customize your own salad and always have a delightful,freshly baked bread basket for you. I highly recommend this diner if you’re in New Jersey! 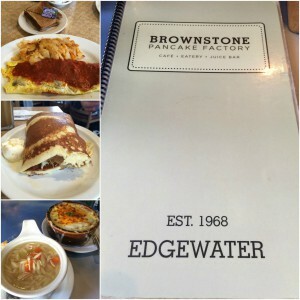 Another diner I really and truly love is Brownstone Pancake Factory. They have two locations – Jersey City and Edgewater which I have been to both, but my ultimate choice and favorite one is Jersey City. I have been to the one in Jersey City both on weekdays and on Saturdays and there’s always a little wait, but hell it’s worth it. Brownstone Pancake Factory offers diner like dishes, but their main focus is brunch and pancakes. This is my go-to diner for brunch in New Jersey. I found out about this place through Food Network, Yelp, and because a friend told me a restaurant, but I thought it was Brownstone Pancake Factory, but I was mistaken. One factor that separates Brownstone Pancake Factory form any other brunch place we’ve been to is they have these insane, monster-like pancake wraps which is what Guy Fieri tried on his show: Diners, Drive-Ins, and Dives. Another one of my favorite diners is a local spot in my neighborhood: Vegas Diner. It’s also dear to my heart because it’s the place that my boyfriend and I had our first official date on Christmas Eve of 2010 (yes I remember it so clearly). This diner definitely has history in Bensonhurst and definitely a very family friendly diner. The food here is delicious and I always leave this diner as I do with most diners completely full. Unfortunately, I’ve heard recently that this diner may have been bought out or will be facing a conversion, so looks like my boyfriend and I may have to make a visit soon. More reasons why I like diners are that: there’s always something for everyone at a diner and opened either late or 24/7 and it just feels very homey, comfortable, and I never leave diners starving again. I have been to my share of bad diners and bad service/food at diners, but that’s a whole different story. Do you like diners? What’s your favorite diner that you’ve been to? During Memorial Day weekend, my boyfriend, our two friends, and I did a weekend trip in Boston, MA. I did a search on restaurants in Boston on Yelp and Neptune Oyster was at the top of the list. I didn’t read any reviews, but I should have because nothing prepared me for what happened at Neptune Oyster. Our friend told us Neptune Oyster has a 4.5 star rating on Yelp with over 3000+ reviews which is tremendous. We arrived on the street of Neptune Oyster at 3:30PM on a Saturday and made a reservation which we found out would be a 4 hour wait, so we had to return back at 7:30PM. After 2-4 hours of sight seeing, walking, and sitting at a cafe, we returned back to Neptune Oyster at 7:15PM and found out our wait time has extended to 8-8:30PM,so altogether nearly a 5 hour wait. We got a call around 8-8:15PM, but when we arrived we still had to wait for a seat. The Fried Ipswich Clams came with a tartar sauce and was market price: $21.00 which isn’t expensive at all. The fried clams were fried to perfection, juicy and full of clam deliciousness inside. I liked the tartar sauce a lot because it was rich. We also had Razor Clams which I thought was excellent and delicious. My boyfriend and our friends also ordered oysters from the raw bar and I ordered a shrimp cocktail since I am not a fan of cooked or raw oysters at all. We got two bowls of the Wellfleet Clam Chowder, one bowl per couple. The clam chowder is a popular menu item, but honestly I thought it was alright. It’s definitely very filling because there’s a lot of cream and chunks of potatoes. 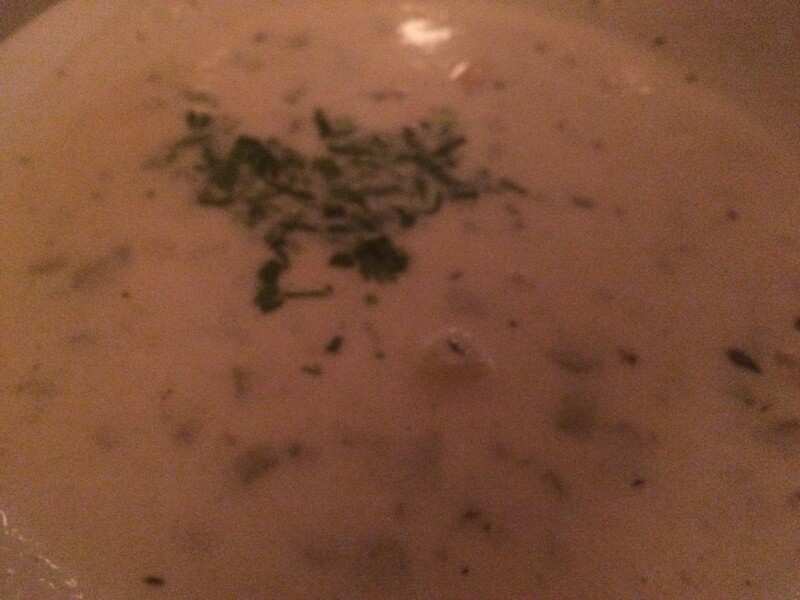 There’s a good amount of clams in the chowder, but I just felt it was okay, not the best. 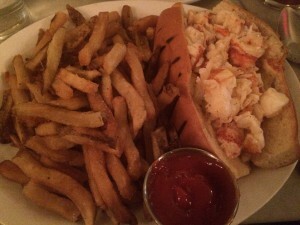 Another popular menu item at Neptune Oyster is their Maine Lobster Roll – toasted roll, available hot with butter or cold with mayo (available without roll). We both ordered it hot, but little did we know that it wasn’t the best route. The lobster and roll were both submerged with so much butter that it was too overwhelming. However, the lobster was delicious and so were the fries. The butter did make my boyfriend feel slightly sick, so he wasn’t able to finish his half of the lobster roll. All in all, I feel the five hour wait was definitely too much and an experience I never want to experience again at any restaurant. Was the five hour wait really, really worth it? I feel like it wasn’t because the food wasn’t five stars in my opinion, maybe 3.5. Would I return? No, because a five hour wait is crazy and it can definitely drive a person hangry. I’ve definitely had better seafood dishes before without having to wait so long. What was the longest wait you’ve ever experienced at a restaurant? Was the wait worth it? This post is tying together two elements of what is important to me: blogging and food. I think all creatives/bloggers like me have this “place” where they feel the most comfortable in to do their blogging, writing, or etc. As a blogger, it’s important for me to be in a place I know I can concentrate. Unfortunately, sometimes making an effort to blog at home doesn’t seem to get me very far because of distractions. Lately there’s a coffee house/franchise that I been feeling extremely motivated and inspired whenever I walk through their doors. If you’ve been around the city, you may have noticed a lot of Caffe Bene’s are popping up everywhere, but there are a lot in Queens, New Jersey, and Brooklyn too. 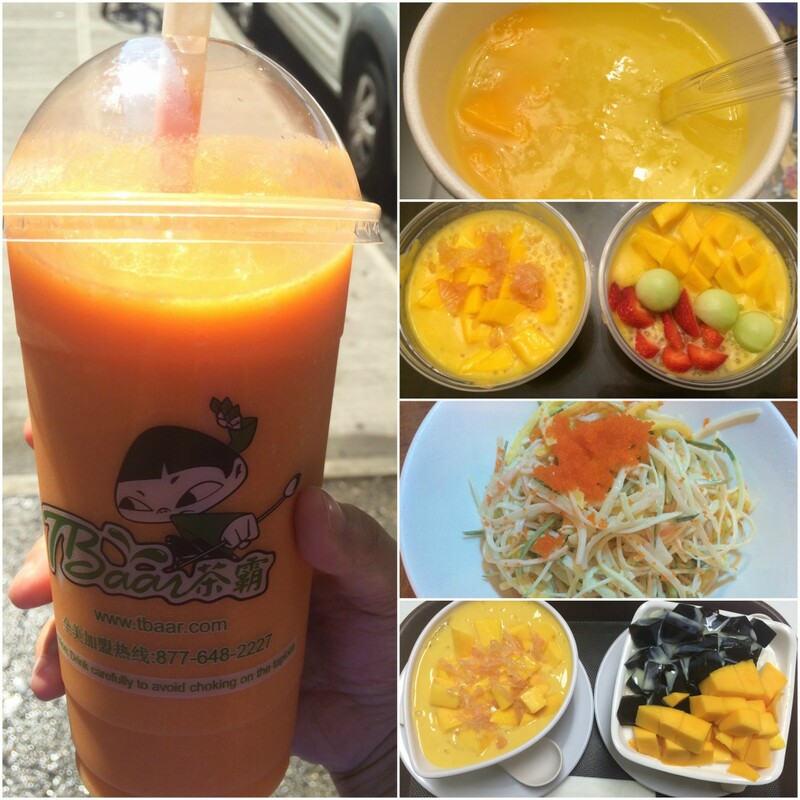 I’ve been coming to the Bensonhurst location on 18th Avenue a lot, at least once or sometimes twice a week. 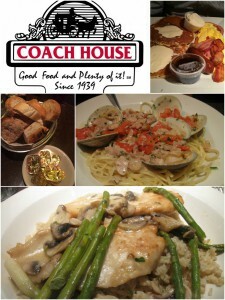 The atmosphere is cozy, comfortable, and has the local, neighborhood vibe to it. There’s always an abundance of seats and tables available and outlets available to charge your electronic devices. Most of the customers at this location are high school student – 50-60+ year old. Besides enjoying the complimentary WiFi and air conditioning/heat (for the cold seasons), I typically like to come here to get my blogging and Yelp reviews done on the weekdays I don’t have plans. 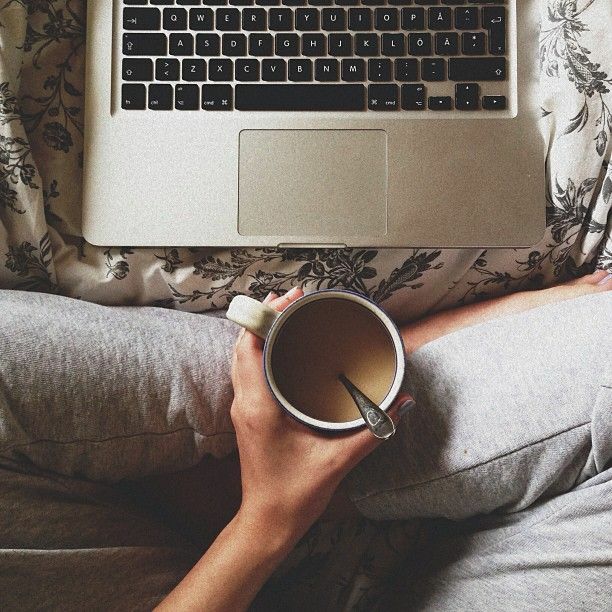 I feel extremely motivated to just write and blog here and the wonderful scent of coffee and tea keeps me up and going. Most of the customers here come with their laptops, iPads, tablets too or to get homework done. It’s also a nice place to do group studying as there are a lot of communal tables. I also like that they play cafe/coffee house music, but I always prefer my Spotify music instead. Caffe Bene has a lot of beverages to choose from, sandwiches, waffles, and sweets. 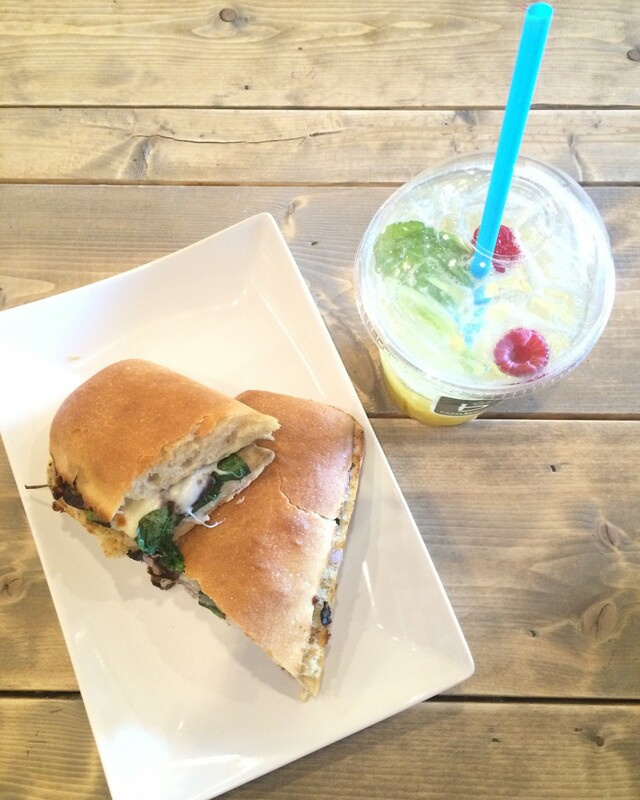 I’ve recently been addicted to their Portabella Sandwich which is super crunchy, delicious and well I love mushrooms. The food and drinks here are a little pricey, but the quality is good. 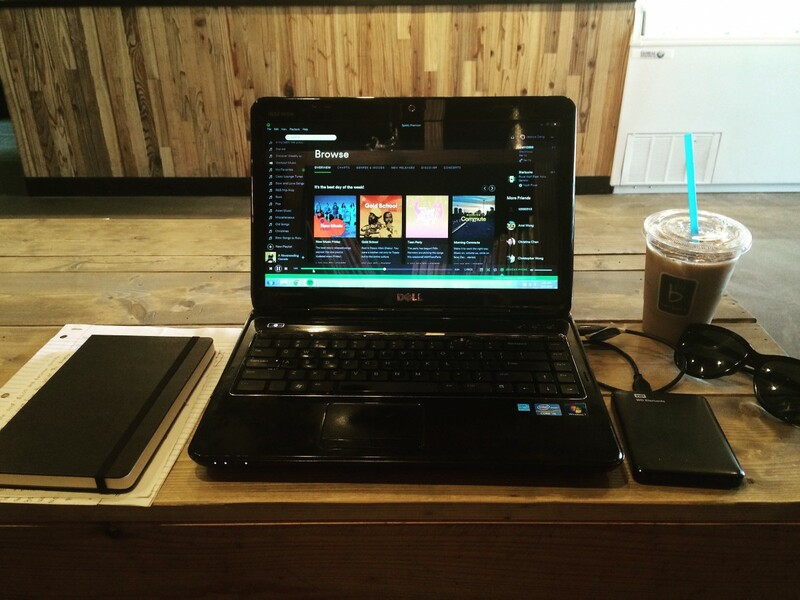 All in all, I really like coming to Caffe Bene to blog and write my Yelp reviews. I feel I accomplish a lot when I am here because I can trap myself in my music and in front of my laptop. I don’t know anyone here so there’s minimal distraction and I feel my inner creative spirit really comes out on blogging and writing when I am here. Do you have a “one place” where you feel you do your best blogging/work? If so, why is it your “place”? If you ask my friends or boyfriend, “what’s Jessica’s favorite cuisine/type of food?” 9 out of 10 them would say Ramen or Thai food. I’ve frequently visited Thai restaurant the last few years to the point some friends got a little sick of it because to them Thai food wasn’t too impressive to them ,but to me I absolutely love it. 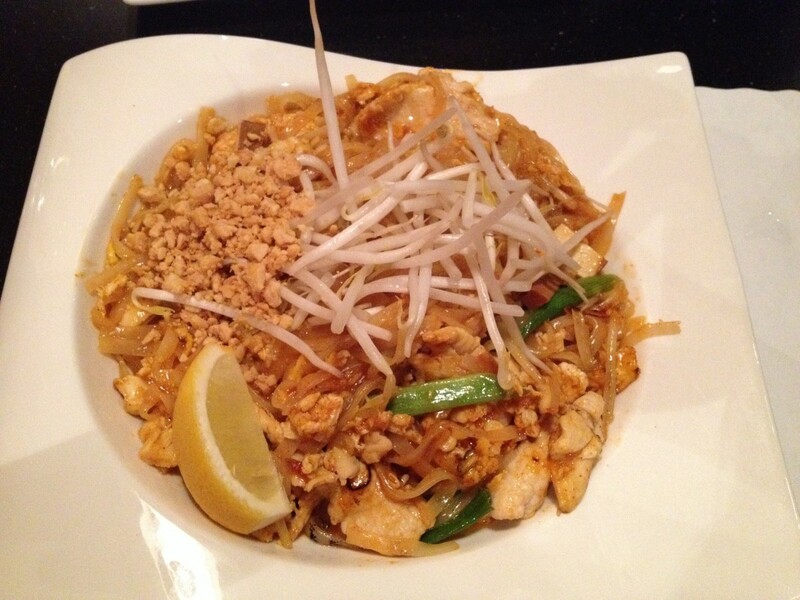 I absolutely love Pad Thai! It’s definitely one of my favorite noodle dishes and I love that it has a slight tang-like flavor, but also with a little sweetness. There was a time in my life where I would try the different Pad Thai around different Thai restaurants and some were a hit or miss. I also like that you can have it with chicken, beef, seafood, vegetable, pork, and etc. 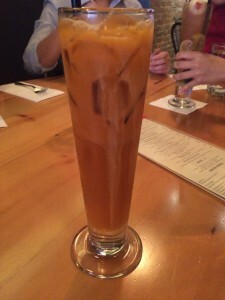 I also love Thai Ice Tea as most people do when they have Thai food. It’s rich, not too sweet, and just really refreshing and delightful. One of the appetizers I really enjoy at a Thai restaurant is the Chicken Curry Puff which is filled with chicken, carrot, potato, onion, and Massaman curry. It’s often served with a sweet cucumber vinegar. The appetizer is very moist with delicious curry flavors, but not at spicy at all. I also can’t forget Thai Ice Tea ice cream. Yep there is such a thing and in fact, I feel more and more places are carrying this flavor! 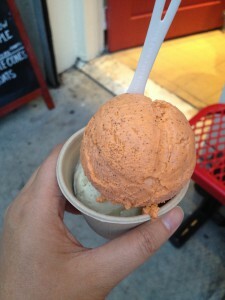 The Thai Ice Tea ice cream I’ve had is very rich, creamy, and you can really taste the tea-ness in the ice cream. Another reason I love Thai food/going to Thai restaurants is the decor and ambiance. 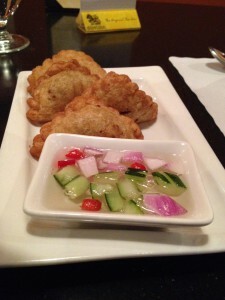 Most Thai restaurants have a intimate, dim light setting and pretty calm and relaxing. There are some reasons why I love Thai food. Is there a cuisine that you enjoy and why do you enjoy it? 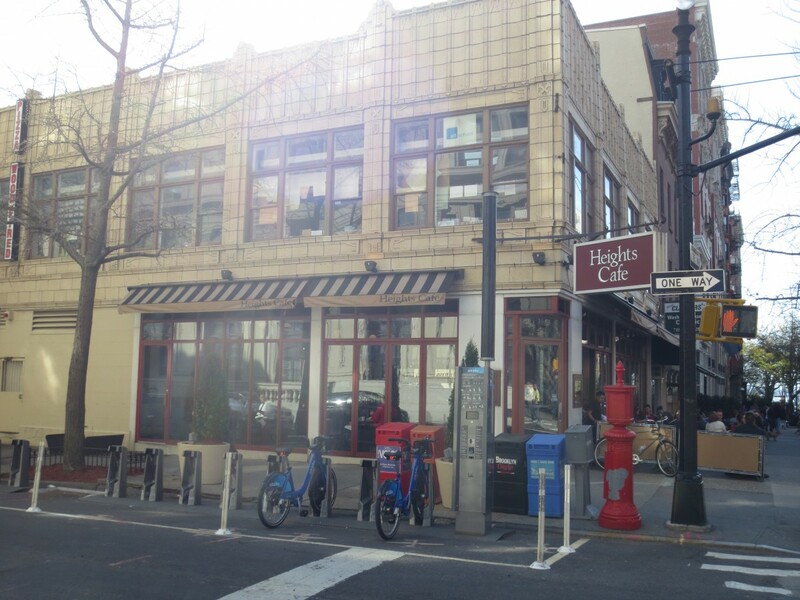 It’s not every day or normally that I eat in Downtown Brooklyn/Brooklyn Heights for dinner, but last month/semester my team and I decided on visiting Heights Cafe for our marketing project. One of our team members is actually a server at Heights Cafe so it worked out perfectly. I came with my boyfriend on a Saturday at 5PM as dinner just started. 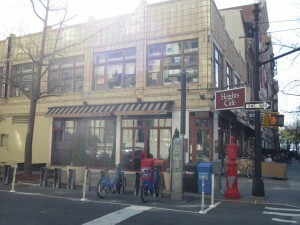 Heights Cafe is located in the heart of Brooklyn Heights and is in a beautiful location because it’s just a short walk from the Brooklyn Promenade. The restaurant/cafe has a warm and bright atmosphere. The walls of the restaurant are decorated with paintings from local artists. 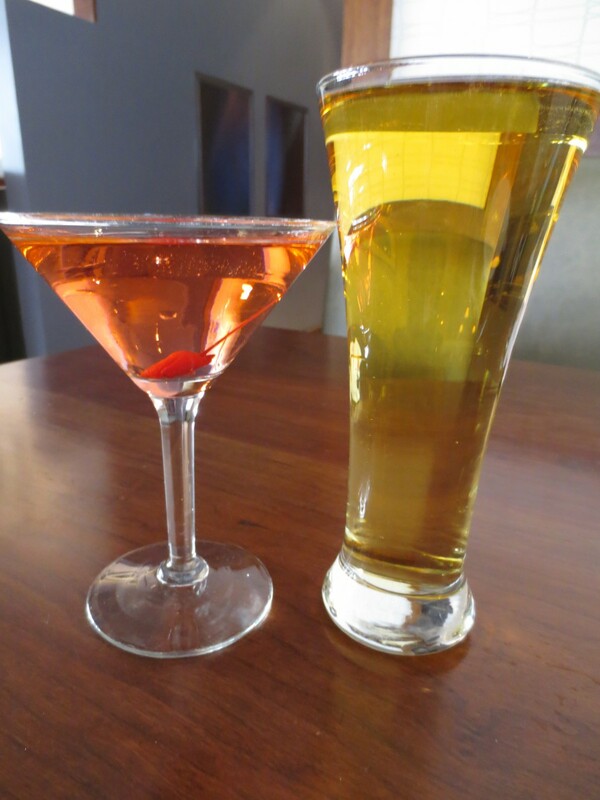 My boyfriend ordered the Angry Orchard and I had a Watermelon Martini. The watermelon martini had a nice and refreshing watermelon taste to it. It reminded me of a Jolly Rancher candy, but in this case infused with alcohol. It was super strong, so I didn’t quite finish it. 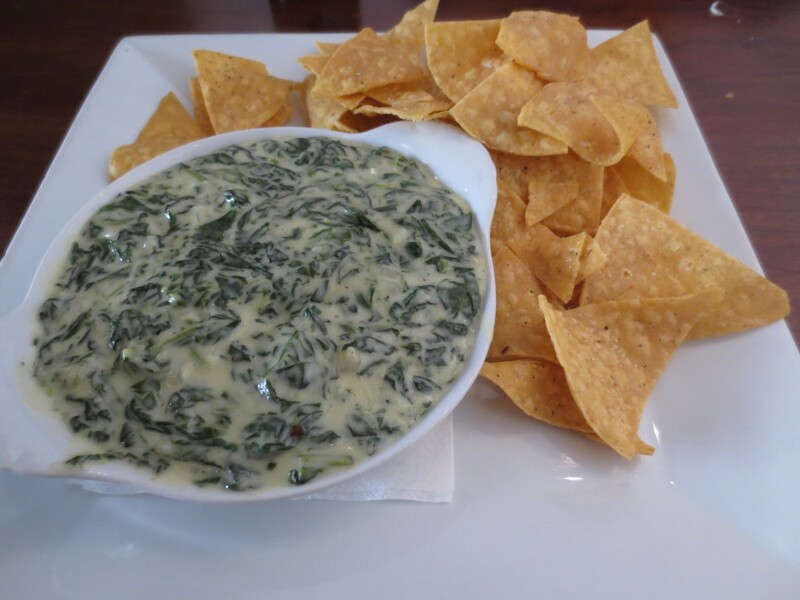 For appetizer, we had the the Warm Spinach Dip with Corn Tortilla Chips. We typically order fried calamari as an appetizer, but this time I wanted to try something different. The tip was a delight, not too cheesy and you get spinach in every bite. The chips were crunchy and fresh. My boyfriend ordered the Wild Mushroom Ravioli from the dinner specials menu for the day we went. It was $20.95, so definitely a little more expensive then ravioli we’ve had in other restaurants. 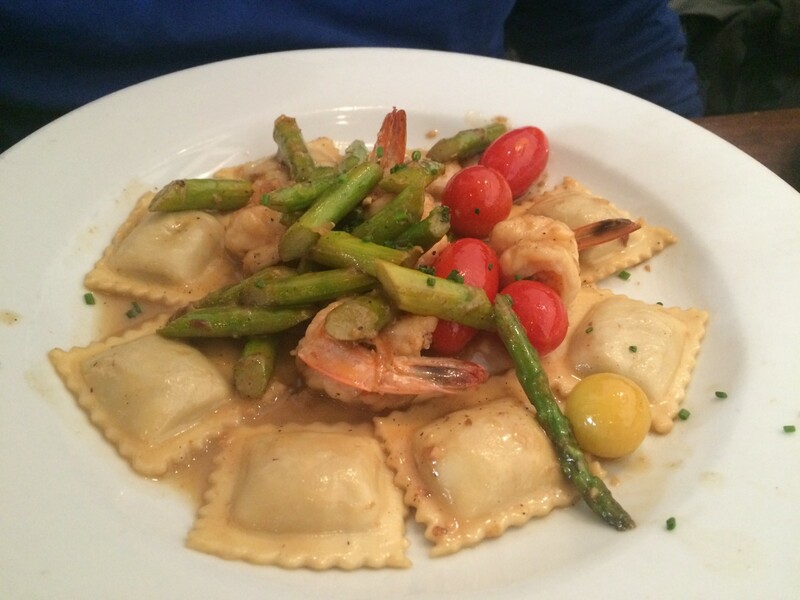 The wild mushroom ravioli had olive oil garlic sauce, sauteed shrimp, asparagus, and cherry tomatoes. The dish is definitely colorful and vibrant. 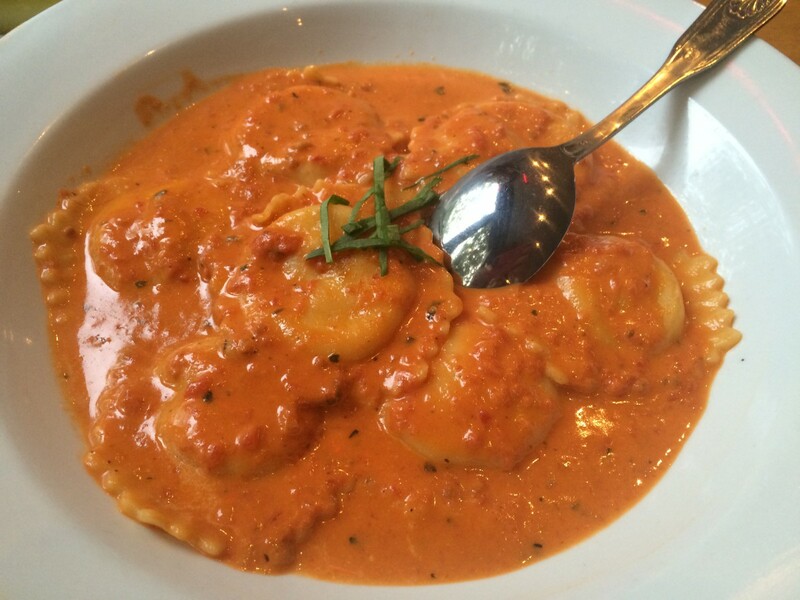 The ravioli was delicious and super filling and I would have preferred more sauce. 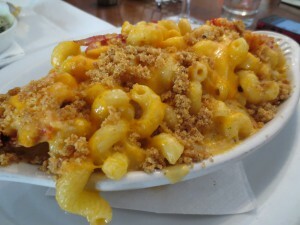 I had the Lobster Mac & Cheese. The lobster mac & cheese was bathed in brandy lobster cream, Parmesan, Gruyere, and cheddar cheese. I liked it for the most part, tasted more like cheese than lobster-like.I actually had trouble finishing the lobster mac and cheese because there was so much cheese and cream that I got full instantly. The cheese was just a little overwhelming. Although our dinner was a little more expensive compared to most dinners we have had. Overall, I really liked the service and the attentiveness from the other servers before our friend arrived to our table. I also liked the atmosphere because most of the customers are locals, tourists, and/or family. I think if I am in the area and in search of warm and delicious comfort food than yes and maybe if for a birthday dinner and etc. If a friend or someone asks me for a good Brooklyn Heights restaurant recommendation, Heights Cafe would definitely be on my top three recommendations.